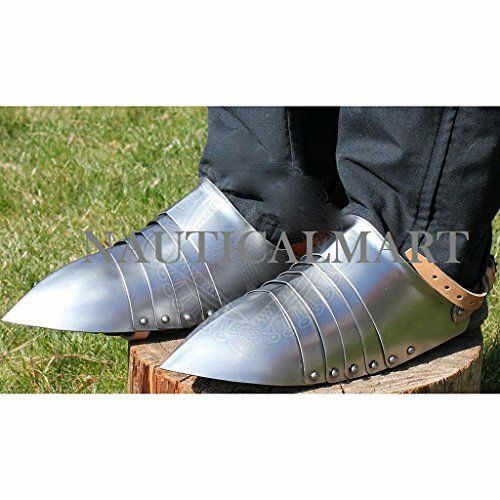 The Steel boots are pointed iron protectors that are put on leather boots. Shoes consist of six plates with a central crest. The last plate is the tip of the shoe, the so-called beak. The waist at the ankle is bent out of the leg. Iron boots are attached to leather boots with three leather belts. Two surround the sole and the third (with buckle) is on the heel and allows tightening as needed.